It was a sunny day on May 5, 1945, when disaster struck. Three days before the surrender of Nazi Germany, a 26-year old pregnant woman and five children decided to go for a picnic in the forest of Gearhart Mountain in Southern Oregon, but they never returned. As the group arrived to the seating area, they noticed a strange balloon on the ground. The device exploded upon inspection, killing six teenagers including the pregnant woman. Unfortunately for them, they became known as the only war victims in the continental U.S. during World War II. After investigation, military personnel concluded that the balloon landed there several weeks before the explosion as they noticed that snow was still present underneath the object while it had already melted in the area (the balloon insulated the snow). It was not the first time that soldiers discovered that type of explosive balloon in the USA. At first, the U.S. Military wondered about the provenance of these objects. The initial investigation quickly revealed the Japanese origin of the balloons, but experts thought they were released near the US coast by enemy submarines. Following the defeat of Japan later that year, they realized that these Fu-Go or fire balloons were a long-range weapon launched by the enemy directly from the Japanese mainland. 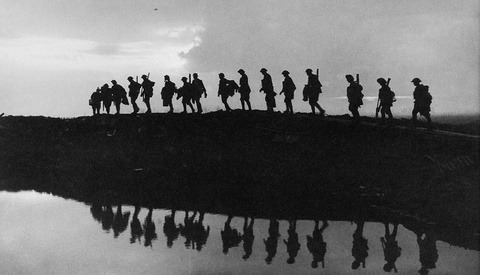 The hydrogen-filled balloons carried about 30 pounds of explosives and an incendiary bomb. It was designed as a low cost weapon to be carried over north America with the help of high-altitude jet stream. A basic system would drop the bombs when the aircraft was above the ground. Japanese hoped the incendiary device would start massive forest and agricultural fires. However, the thousands of balloons launched by the Japaneses didn't meet the expectations of the imperial force as they were relatively ineffective due to extreme weather condition and lack of navigation system. But this strange act of war was not lost for everyone and the newly created RAND Corporation, an Air Force think tank, imagined a new type of use for the intercontinental balloon. This time the target would be the Soviet Union, a former WWII ally turned foe. But instead of carrying ineffective bomb load, the new system would be used as an intelligence gathering platform to take aerial imagery of the vast Bolshevik territory and reveal the location of unknown strategic military sites such as airbases and nuclear test facilities. The concept was relatively straightforward: release thousands of Helium filled stratospheric balloons from several sites in Western Europe and the Middle East. After reaching 50,000 to 100,000 feet (reports vary), the aircraft loaded with spy film cameras would drift across the Soviet Union on the winter jet stream traveling to the East, covering nearly all of the Soviet land mass. Hopefully, they would reappear in friendly airspace somewhere around East Asia for midair recovery. C-119 aircrafts were dispatched from the Philippines to Alaska charged to track the balloons leaving the Soviet territory. Upon detection, the crew radio transmitted a cut-down code to the gondola. The drop box containing the film would free fall to the lower atmosphere where the pilot had the challenging task of retrieving the parachute with a hook stick out of the rear of the aircraft. The 65 feet tall balloon being prepared before launch. Filled with non-flammable Helium gas instead of the lighter but dangerous Hydrogen element used by the Japanese Fu-Go. But the Air Force had to overcome many challenges before sending the first spying device over the Soviet Union. 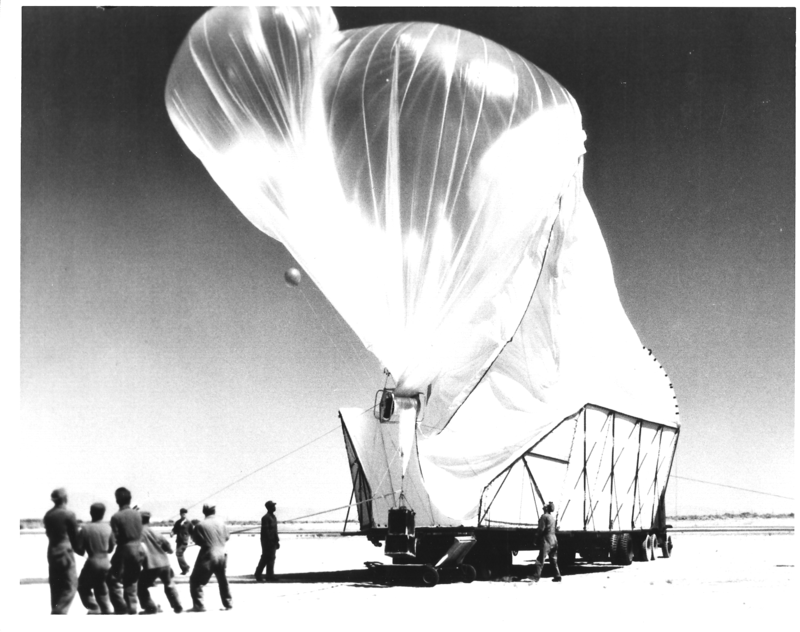 Unlike the crude Japanese Fu-Go system, the U.S. balloon was a much more complex assembly of sub-systems with a heavier payload and higher cruising altitude. Due to the flying altitude of the balloon, as high as 100,000 feet, the engineers had to create temperature-resistant and radiation-hardened photographic film for this mission. The DMQ-1 Photographic Reconnaissance Package contained several cameras with lenses aimed at various angles to the horizon to cover as much ground as possible. Each camera was capable of recording several hundred pictures on state-of-the-art film. The system was packed in a fiberglass box measuring 36 x 30 x 57 inches lined with Styrofoam for insulation. A photocell activated the camera according to the illumination perceived below the box so it would only snap pictures during the day. 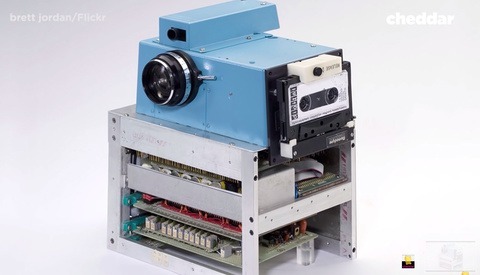 According to Stratocat: "the camera was built by five companies: Kodak, Bill Jack Instrument, Chicago Aerial, Fairchild Camera and Hycon Corporation." After years of development and trials, the first balloon was ready to go. Early January 1956, President Eisenhower himself gave the green light to release the balloons under the code name of Project GENETRIX from various locations in Western Europe and Turkey. 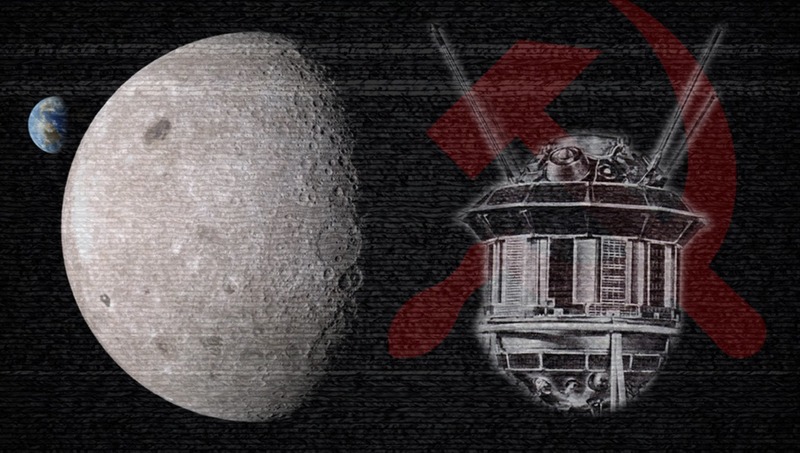 Initially, as many as 2,500 systems were supposed to be liberated in the atmosphere, but the Soviets didn’t like that idea as they quickly detected the unfriendly “weather survey balloon” flying overhead. The fact that a 91 cm steel bar on the balloon happened to perfectly resonate with the S-Band wavelength of the Soviet TOKEN air defense radar probably didn’t help either. As planned by the U.S. intelligence masterminds, the first interceptors sent to stop the 65 feet tall intruders couldn’t even get close to the cruising altitude of the balloons. However, Russian fighter pilots realized they could shoot the balloons at sunrise because the cold of the night reduced the aerostat lift. Only 32 payloads succeeded in obtaining useful images out of the 516 balloons that had been launched. More than 13,000 exposures were retrieved and revealed interesting information about nuclear facilities. Ironically, the 91 cm steel rigging bar that made the balloon pop-up on Soviet radars allowed to map the air defense network of the Soviet Union. The weather data recovered during this project also helped to plan the flight paths of future U-2 spy planes. 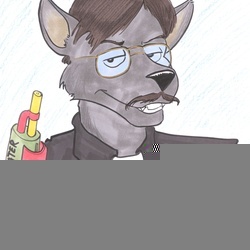 While the low success rate of project GENETRIX produced some useful results, the balloons that were not recovered created a diplomatic scandal at the time. USSR and its Warsaw allies brought a former protest to the International Civil Aviation Authority (ICAO) complaining the balloon posed a serious threats to aviation safety. According to a declassified CIA document: "Russia mounted large displays of the GENETRIX camera, equipment and film found on its territory and accused the United States of carrying out a brink of war policy." President Eisenhower concluded that "the balloons gave more legitimate grounds for irritation that could be matched by the good obtained from them." He ordered to halt the program after only 27 days of operation. New propositions to use balloons flying at higher altitude were rebuffed by the president who informed the Air Force that he was "not interested in any more balloons." But by a curious twist of history, some parts of the fallen GENETRIX balloons would reach an epic height. A few months after the end of the project, Soviet Union launched the first artificial satellite in space (Sputnik), marking the beginning of the space race. The next destination after earth orbit was the moon, but Russian engineers couldn’t figure out a way to produce a radiation-resistant film like the one found in the fallen GENETRIX balloons. They didn’t know how the Americans made their radiation proof film, but they simply reused the GENETRIX film for their own Luna 3 spacecraft. On the 4th of October 1959, 40 frames of this 35mm black and white film salvaged from one of the GENETRIX balloons were loaded inside the space probe on top of a Luna rocket in Kazakhstan. The American film was cut into the required dimension from the original large format film (9x9 inches) and calibration marks were inserted in order to facilitate the post mission image interpretation. The mission objective was to capture the first image of the far side of the moon, a mysterious territory never observed before by mankind. The Russian space probe was a technological marvel at the time. The spacecraft oriented one side toward the Sun and then a photocell sensitive to light detected the Moon and pointed the cameras towards it. Detection of the Moon signaled the camera eyelids cover to open and the photography sequence to start automatically. The dual lens camera was fitted with a 200mm f/5.6 and a 500mm f/9.5 objective. The camera took 29 pictures over 40 minutes at distances ranging from 39,500 miles to 41,500 miles above the surface, covering 70% of the lunar far side. 17 or 12 of these frames (reports vary) were transmitted back to the Earth, and six were published by the Soviet Union. 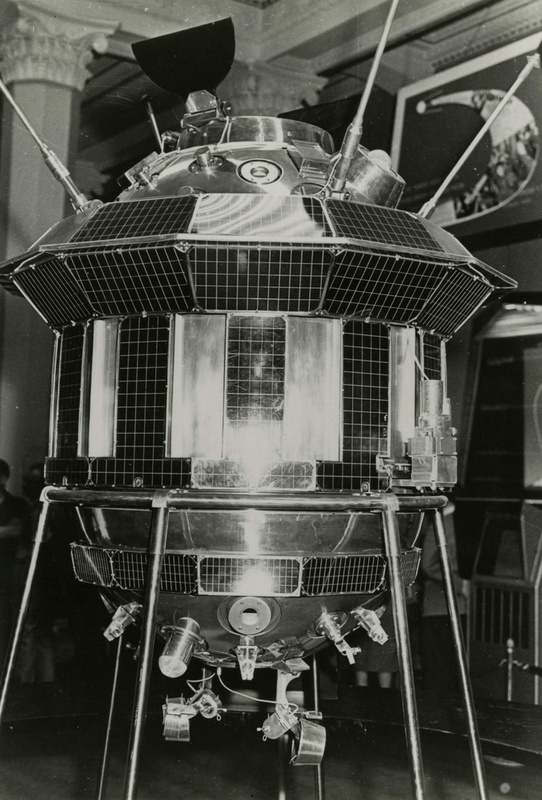 The Soviet Luna 3 spacecraft. Note the two opened lens covers on top (the black parts). The probe contained a dual lens camera fitted with 200mm f/5.6 and 500mm f/9.5 lenses using Kodak film cut in 35mm format. The pressurized hull housed a mini zero gravity darkroom. But the following steps greatly reduced the quality of the sharp spy film: “The probe’s internal mechanisms oriented the first frame of film in front of a bright bulb inside, projecting a small portion of the image onto a photomultiplier, a light-sensitive vacuum tube. Lunik 3 then transmitted the lightness and darkness information line-by-line via frequency-modulated analog signal—in essence, fax sent over radio.” Because of the distance and weak signal, the first images contained a lot of static but the space probes transmitted better images in the following days as it traveled back toward the earth. The quality of the dozen images that made it back to earth only allowed to give a general idea of this hemisphere geography. The analog transmission generated a lot of static. The quality of the source pictures taken on high-end spy film must have been outstanding but the analog scanning and transmission process degraded the result considerably. Source: NASA. As the space probe flew out of range, the Russian scientists lost all contact on 22 October 1959. Based on several orbiting computations, the spacecraft might have drifted out of space for several years but it probably ended up burning in the earths' atmosphere sooner than that. The images revealed interesting information about the dark side of the moon. The specialists realized that the two hemispheres have very different appearances. Indeed, the near side is covered with large “sea” or maria while the far side is mostly marked by meteorites craters with few maria. The far side is has only 1% of maria, compared to 31.2% on the near side. Eventually, the Soviet Academy of Sciences published the first atlas of the far side in 1960, and the Apollo 8 astronauts were the first persons to see the hidden hemisphere as they orbited the Moon in Christmas of 1968. 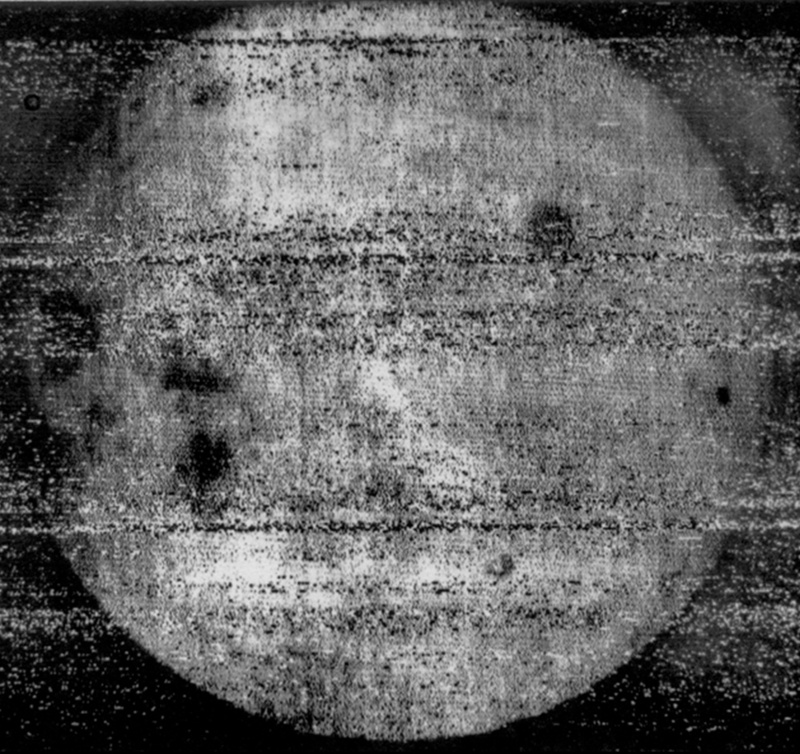 59 years after a Russian probe sent the first image of the far side of the moon using captured U.S. spy film manufactured by Kodak, the Chinese National Space Agency (CNSA) just landed an exploration rover in this same remote land. A communication satellite placed in a halo orbit allows to relay the first picture ever captured on the ground of the dark side of the moon. The adventure continues. 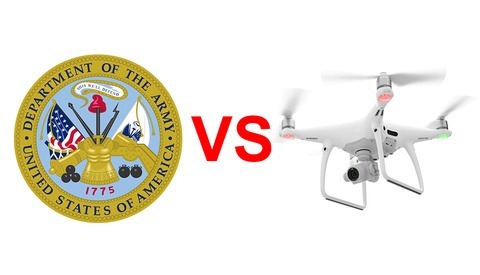 The U.S. Army Ban on DJI - What Is Really Going On? They could. They couldn’t scan and transmit it properly. Great read. Very interesting! Thanks. Fascinating story! If only the two countries could have combined their strengths. The superior Soviet space technology combined with the superior US film technology could have progressed our knowledge of space so much more efficiently. That is true. Nothing like competition to inspire people to improve. There is absolutely no evidence that Kodak film was used on this mission. This is a fake, which is full on the internet. 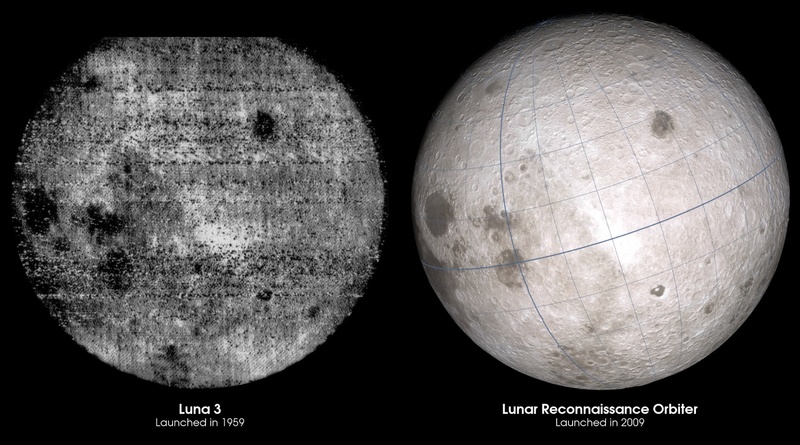 The far side of the Moon gets just as much sunlight as the near side.